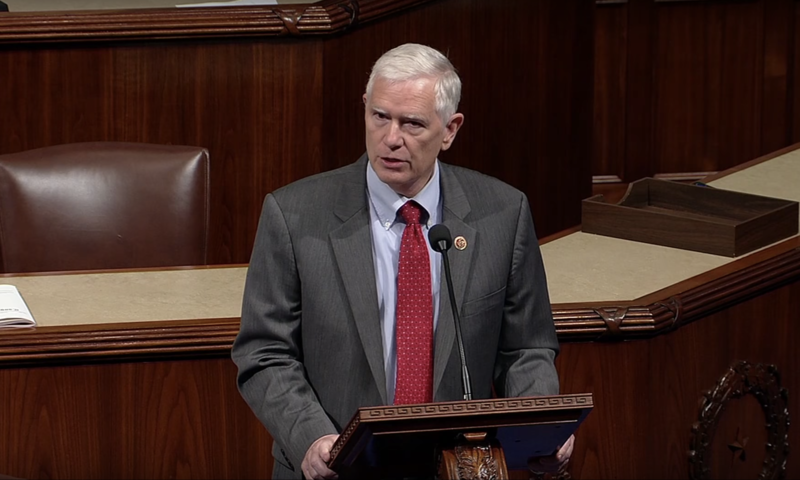 Rep. Mo Brooks (R-Alabama) praised the U.S. Department of Labor Bureau of Labor Statistics January jobs report on Friday. Brooks warned against dramatic economic policy changes. According to the Bureau of Labor Statistics America’s economy added 304,000 new, non-farm payroll jobs in January 2019. The labor participation rate climbed to 63.2 percent. America’s January unemployment rate is at 4.0 percent. The White House attributed the slight uptick in the inflation rate to the hundreds of thousands of government workers affected by the partial government shutdown. Over the past year, the average weekly earnings for all non-farm American workers increased by 85 cents (to $27.56/hour). The White House was jubilant with the information that the economy gained 304,000 jobs, despite the partial government shutdown and the end of the Christmas shopping season, surpassing expectations. America’s economy continues its streak of job gains. January 2019 marks the 16th month in a row with employment growth of at least 100,000 new jobs. Numerous sectors experienced job growth in January, including mining and logging (7,000 jobs), transportation and warehousing (27,000), construction (52,000), education and health services (55,000) and leisure and hospitality (74,000). The U.S. economy has added 4.9 million jobs since January 2017 and 5.3 million jobs since Trump was elected in November 2016. The employment cost index, which the Bureau of Labor Statistics releases quarterly, showed a 3.1 percent gain in the wages and salaries component in the fourth quarter of 2018. That’s up from 2.9 percent in the third quarter and tied for the biggest gain since the third quarter of 2008, right before the onset of the Great Recession. A household survey released by BLS shows that the labor force participation rate for prime-age adults, ages 25-54, increased by 0.3 percentage points to 82.6 percent. The last time it was this high was April 2010. The stock market boomed in January after a volatile fourth quarter that saw stocks slide following all-time highs in September. The S&P 500 index lost 9.6 percent of its value in December, the worst December performance since 1931. The S&P 500 climbed back in January gaining 7.9 percent despite the partial government shutdown. This was the best January for the index since 1987. The S&P 500 has gained 15 percent since Dec. 26. The Dow Jones showed similar gains, closing January a fraction of a point below 25,000 after closing December at 23,327. Brooks is serving his fifth term representing Alabama’s Fifth Congressional District. Original reporting by CNBC and the Wallstreet Journal contributed to this report.